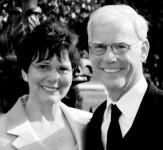 Cindy and John Crego – After successful careers in the fields of science and engineering, Cindy and John decided to “retire” and start their own business. Because family and home were always their focus they looked for a business in the area of home remodeling and design. More Space Place was a perfect fit. The Cregos have always loved working on their own home making it more functional, efficient and inviting. “Now we get to help other people make the most of their space,” said Cindy. More importantly to the Crego family is providing top notch customer service, quality products and seamless installation. “We don’t deal in pressure sales. To us it is all about building relationships, understanding the client’s needs and exceeding those expectations,” said John. After 7 years in business in the Nashville area, Cindy and John say that repeat business and customer recommendations are their best form of advertising.